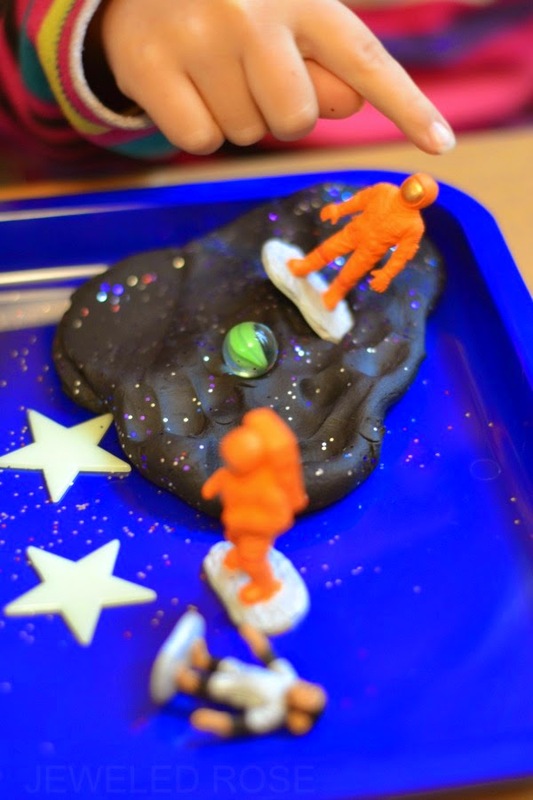 For a play time that is truly out of this world give galaxy dough a try! 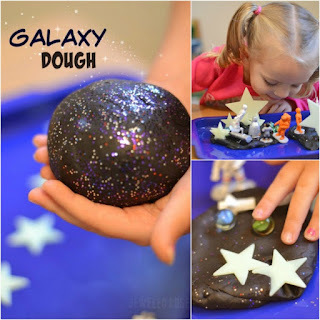 Galaxy dough is really easy to make and so fun! 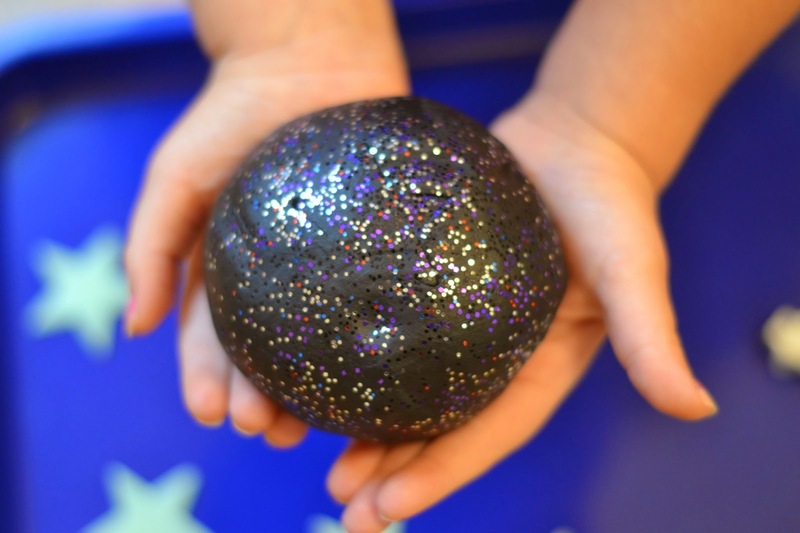 It is super smooth, ultra sparkly, and REALLY stretchy. Needless to say it is quite hard to put down. 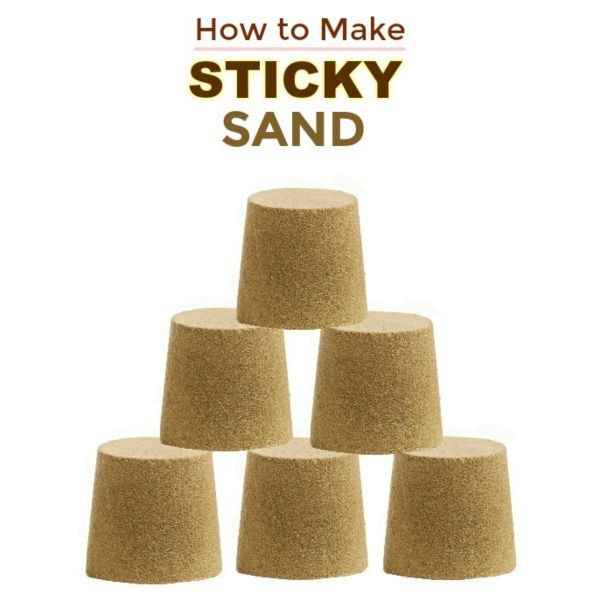 Follow the easy recipe below to make your own. 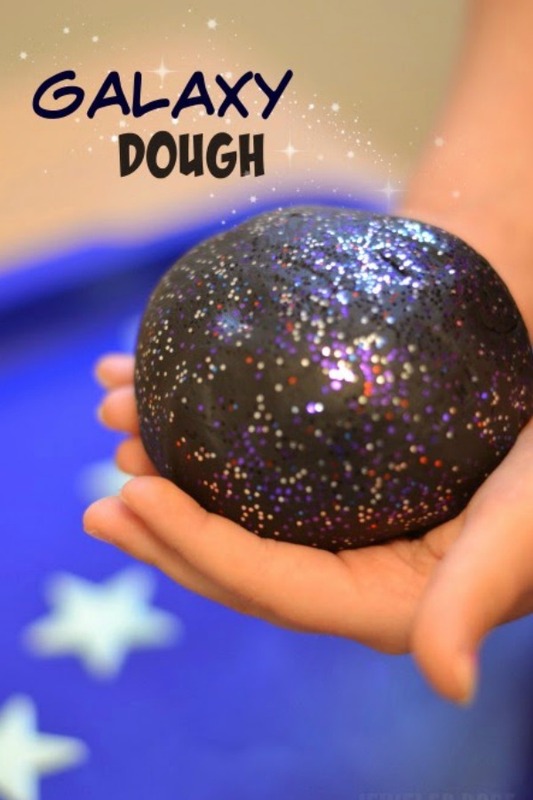 This play dough recipe requires no cooking and can be made in just a few minutes. Using baby oil in this recipe produces a much smoother dough than what you might be used to, and it also adds a delightful smell. Adding a few drops of glycerin makes the dough really shiny and super stretchy. Note: You can find glycerin in the health & beauty section of most stores or online here. Combine the flour, salt, & cream of tartar in a bowl and mix well. Add several drops of black food coloring to the boiling water, and then combine that in the bowl along with the baby oil & the glycerin. Mix all the ingredients. Continue mixing until the play dough is formed, and then knead the dough for several minutes with clean, dry hands. 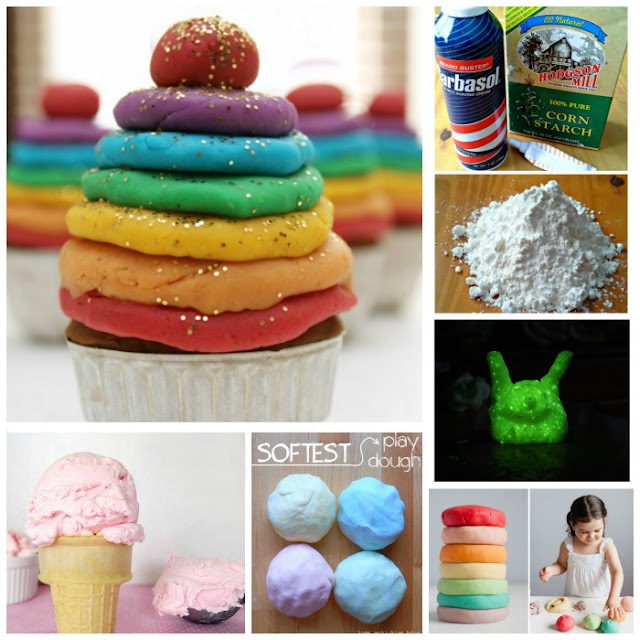 Add more food coloring as you knead if needed. I used A LOT of food coloring to get the rich, black coloring you see here. Once mixed you will have the most amazing, super stretchy dough! 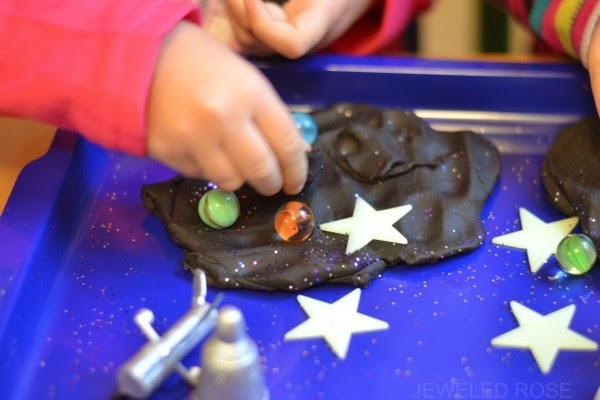 Finish the play dough by adding glitter in to mimic the stars in the galaxy. That's it! Now it is time to PLAY! This dough is so silky & fun! Rosie & Jewel got lost in a world all their own as they stretched, pulled, built, & created. 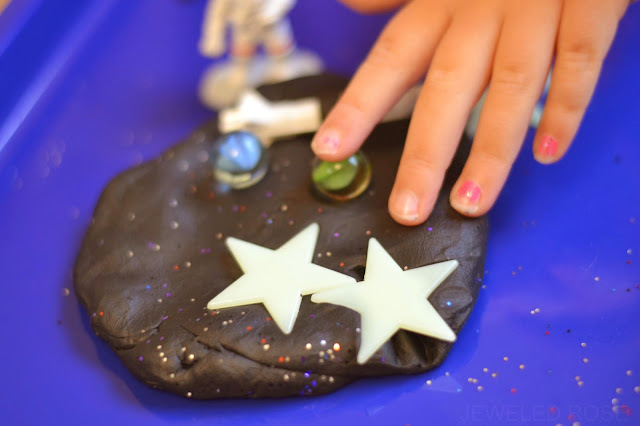 I gave Rosie and Jewel marbles, glow stars, and space figures, and they found all sorts of ways to play with this amazing dough. 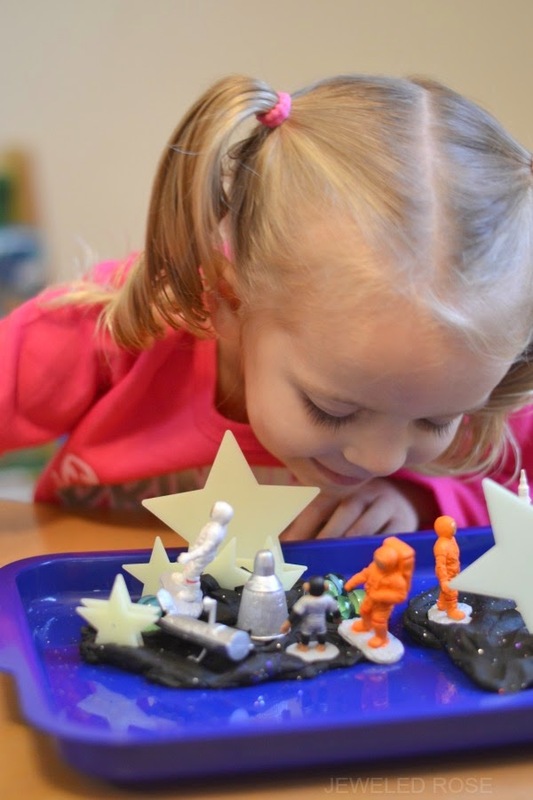 You can find glow stars & marbles at the dollar store, and the space figures we used can be purchased online here. 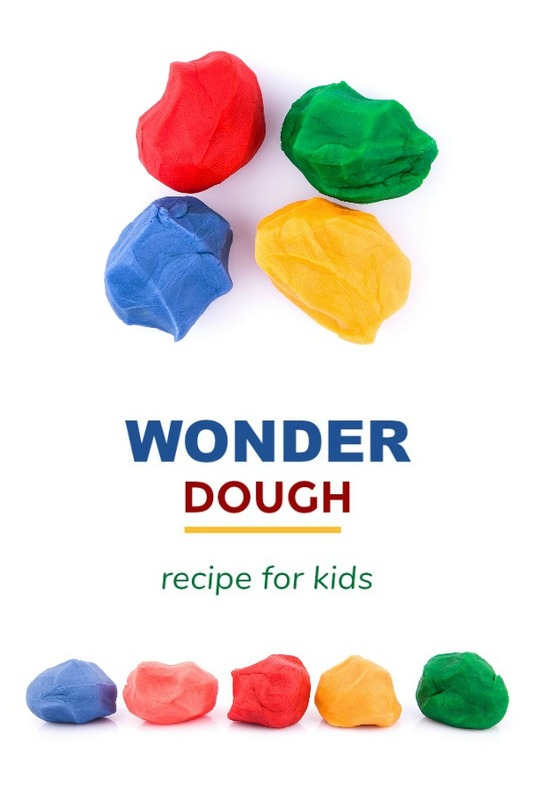 This easy to make dough kept Rosie and Jewel happy & playing for quite a while, and they have asked to play with it several times since. Store your galaxy dough in an airtight container, & it can be used again & again! 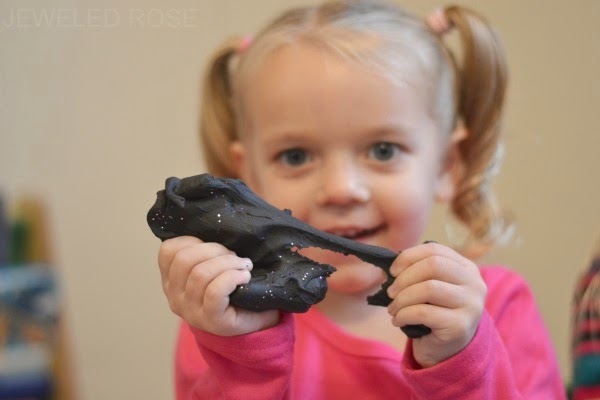 You will need to use a lot of food coloring to get a rich, black color. You could also use black watercolor paint if you have it on hand. If your dough turns out a little too watery just add a bit more flour and mix it in. If your dough begins to dry out you can mix a little baby oil in to revive it and give it new life. You could also use glycerin. 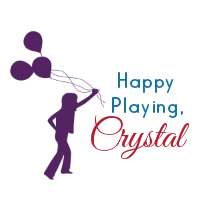 Glycerin can be purchased online here.